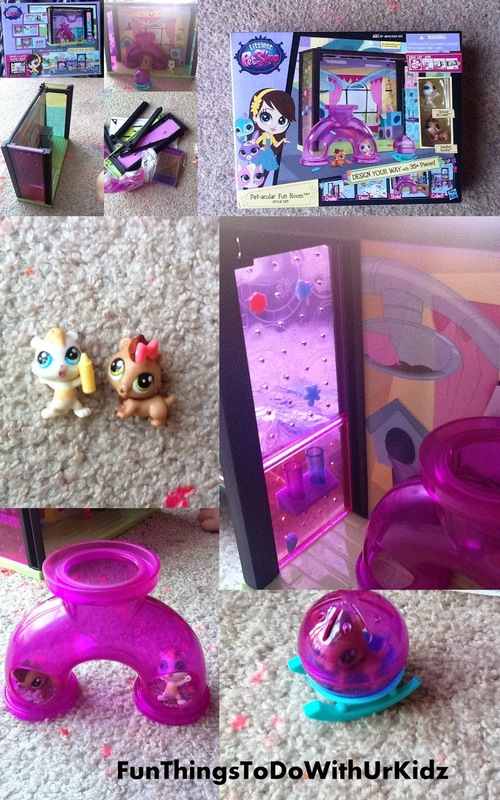 This fun toy allows anyone to make and design a fun room for their littlest pet shop animals. It was very easy to put together with only 5 steps. It included many little things including 2 different animals, and little bottles/carrots/ crayons and things that the animals can hold. Very colorful and has many small details that make it nice.